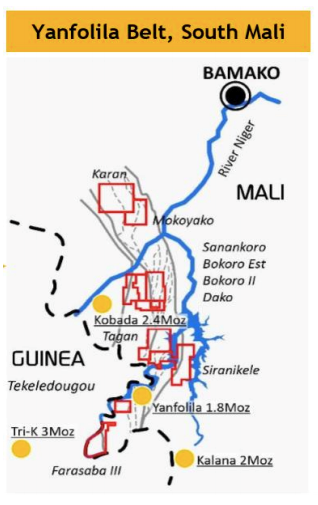 AIM-listed gold explorer, Cora Gold (AIM:CORA) today announced to the market that, following the drill rig mobilisation in November last year at its flagship Sanankoro Gold Discovery in Southern Mali, it has completed the Stage 1 reconnaissance drill. The company is now awaiting assay results, which are expected before the end of the month. 29 drill holes have been completed for nearly 2,800 metres of mixed aircore (AC) and reverse circulation (RC) drilling, ranging between 68 metres and 140 metres in length. 27 drill holes have been completed at the Sanankoro Target 1 over a strike length of nearly three kilometres, with two drill holes completed at Sanankoro Zone A. Of particular note is the fact that visible gold has been observed in many of these holes, which indicates widespread mineralisation along the structures. However, it is early stages for the company and investors should seek professional financial advice if considering this stock for their portfolio. A new structure (Zone C), located to the west of Zones A and B, has also been identified at the Sanankoro Target through mapping of artisanal sites and surface sampling. 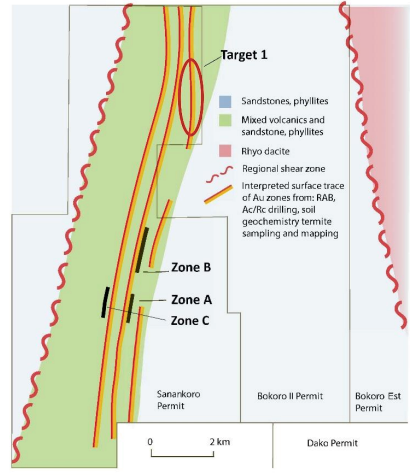 Stage 2 drilling is now commencing, with an additional 4,000 metres of combined RC/AC drilling and 500 metres of diamond core drilling focusing on Sanankoro Zones A, B and C – this is set to be completed in the coming months. New, highly prospective drill-ready targets have also been identified at the Tekeledougou Project, which lies some 60 kilometres south of Sanankoro and is situated within eight kilometres of Hummingbird Resources’ producing Yanfolila Plant (Hummingbird Resources is a 33.85 per cent shareholder in Cora Gold). The first target is the site of significant artisanal workings that have exposed a quartz shear structure approximately 30-40 metres in width along a strike length of approximately 600 metres. Here, the geology exposed by the artisanal workings comprises well developed, stacked, sheeted and stock worked, predominantly east-west oriented intense quartz veining. Cora believes there is potential to extend the footprint, with a potential target of greater than one kilometre strike length. The company is planning to drill at Tekeledougou by end of Q1 this year. 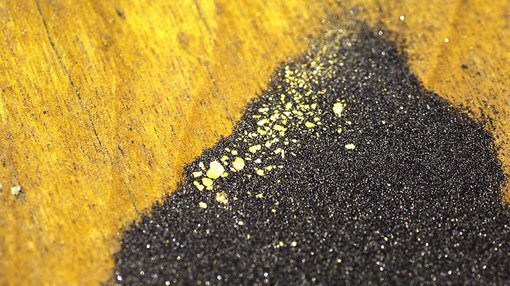 Cora Gold CEO Dr Jonathan Forster said: “We are very pleased with the progress of the drill program at Sanankoro to date. The presence of visible gold in many of the drill holes along nearly 3km of strike is particularly encouraging as is the visual identification of key lithologies that appear to host gold mineralisation. I look forward to reporting the initial assay results which are targeted by the end of January 2018. “We are now commencing Stage 2 of the drilling campaign, focusing on connecting Zones A and B into a single larger zone as well as completing the first stages of exploration at Zone C, a potential parallel repetition of these structures to the west. Zone C is a new structure identified by field work during Stage 1 of the drill programme.